Has UK Government Done A U-Turn Over Diesel? After months of uncertainty and negativity surrounding the future of diesel engines, the UK’s Transport Secretary has unexpectedly given a thumbs up for the maligned fuel. Speaking at the Society of Motor Manufacturers and Traders (SMMT) Summit, Transport Secretary Chris Grayling indicated that diesel may still have a part to play in the reduction of CO2 saying that the fuel: “Can play a valuable role in reducing CO2 emissions”. The comments appear to contradict Environment Secretary Michael Gove, who sparked a collapse in diesel sales in the UK following his criticism of diesel. Grayling had previously back Gove suggesting that the car buying public should “think twice” about buying a diesel. Confusion on the UK Government’s policy continues, with mixed messages coming from all parties, though motor industry executives will be pleased to hear Grayling’s comments. The SMMT Summit has been the scene of much debate concerning all aspects of the motoring industry, motoring chiefs keen to underline their plans while government insiders keen to address any questions. But the big brands are keen to stress that the reduction in emissions will be led by technology, and not government policy. Ian Robertson, BMW’s UK boss said: “The Government recognises the importance of the sector and how quickly we can react with technology. What’s important is that we are all heading in the same direction. There is no certainty in what technology will win — and there are issues of infrastructure, affordability and consumer demand. “What we don’t need is a set of prescriptive rules in the road to zero emissions. Having vehicles capable of completing a majority of their journeys on electricity is achievable; the average journey is around 20 miles and already we have plug-in hybrids capable of 40 miles of EV range. 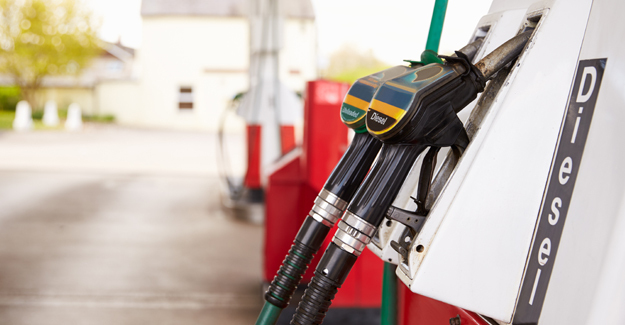 MotorDepot has a wide range of fuel options across the board. Speak to our advisors to find out what might be best for you.